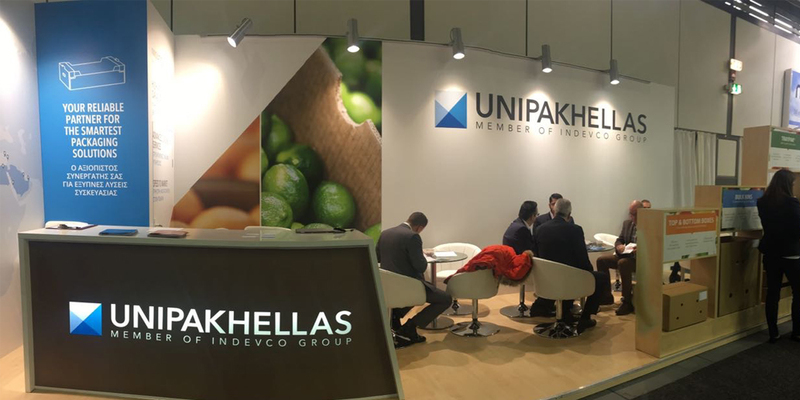 UNIPAKHELLAS DISPLAYS AGRICULTURAL PACKAGING SOLUTIONS AT FRUIT LOGISTICA 2017 IN BERLIN, GERMANY - UNIPAKHELLAS S.A.
UNIPAKHELLAS recently exhibited its specialist corrugated packaging solutions at FRUIT LOGISTICA 2017 – the annual fresh produce trade show that took place at Messe Berlin, Germany, between the 8th and 10th of February. 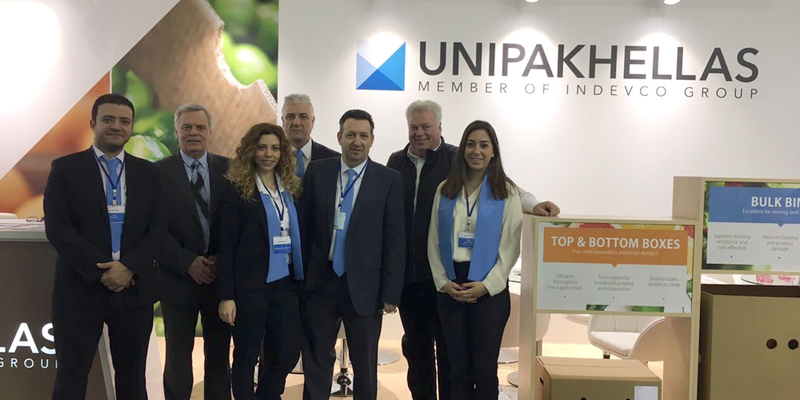 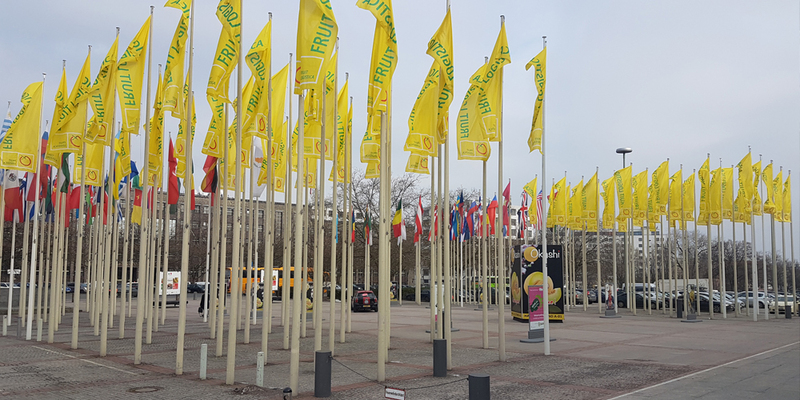 As the leader in agricultural packaging solutions for the Greek and European markets, UNIPAKHELLAS has been exhibiting at FRUIT LOGISTICA for four consecutive years. 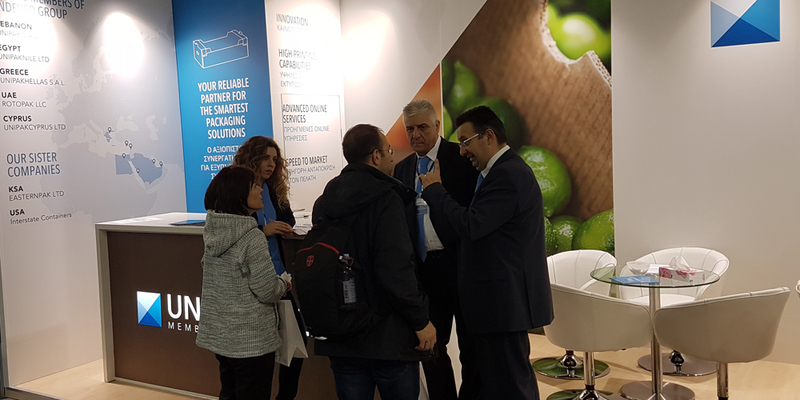 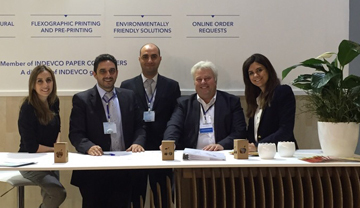 The three-day event enabled us to meet our existing clients face to face, and strengthen our relationships with them, as well as receive direct feedback on our corrugated cardboard agricultural packaging solutions. 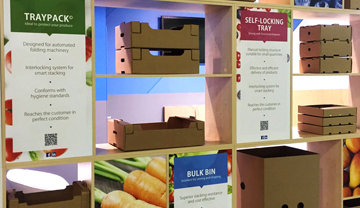 We also enjoyed having the opportunity to establish relationships with potential new customers, and show them how our specialist, sustainable packaging solutions – from quality trays with high-resolution graphics to regular slotted carton (RSC) recyclable boxes – could be fully tailored to their every need. 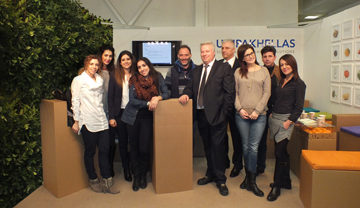 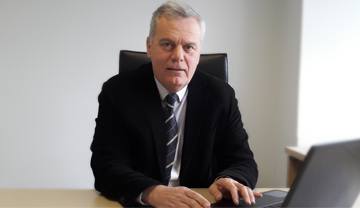 If you’d like to find out more about UNIPAKHELLAS, contact us today.